Posted by liverpoolchamber in Culture, Events, Sponsors. A West End sell-out sensation! If you haven’t already been lucky enough to come across Malcolm Gladwell, I should explain why this is such exciting news: Malcolm Gladwell is the author of the international bestsellers Blink, The Tipping Point and Outliers, books which have entertained, engaged, and profoundly changed the way millions of us think about the world. Now you have a unique opportunity to see him in action! Gladwell brings you his extraordinary alchemy of story-telling and intuitive thinking. It’s time to forget conventional notions of how society works and get ready for a brand new way of seeing the world. Outliers is his new book, and this time his subject is successful people. He argues that the real secrets of success can be found in people’s life stories – the culture they grow up in, the twists of fate, and the way they spend their time. He has a very liberating an inspiring message. Tickets are £16 and £21. For more information or to purchase tickets simply click here or call the Box Office direct on 0151 709 3789. Even without the dancing, in person, Malcolm is every bit as engaging and charismatic as you would hope. He speaks as well as he writes. Posted by liverpoolchamber in Culture, Events. We are delighted to invite you to Invest in Art. We will be hosting a seminar on all you need to know about buying contemporary art. This is a great opportunity to view exceptional art, meet the artists and perhaps be inspired by a piece of art that you love. Speakers include Ceri Hand founder of Ceri Hand Gallery, Liverpool’s first contemporary commercial art gallery, with advice on how to spot the perfect piece for your office or home. Gavin Buckley from Arts & Business will speak about the unique benefits of bringing contemporary art into the workplace. There will also be representatives from specialists on how to protect your investment in the long term. The seminar will provide the first opportunity to experience Visual. Visual is a new, unique and flexible service bringing high quality contemporary art to businesses and their employees. Works included in the collection have been selected by curators from the region’s finest contemporary arts venues and many artists are award winning and some have exhibited at the Tate Gallery and the V&A. We would like you to have a truly enjoyable evening, and City Inn are providing wine and hot food at the event. Invest in Art is sponsored by City Inn, Mace & Jones, Riskworks and Saffery Champness. Attendance at Invest in Art is free and places will be allocated on a first come, first served basis. To register your interest please contact Claire Barlow, Regional Manager at Arts & Business, at claire.barlow@aandb.org.uk or on 0161 236 2058. For a preview of the kind of artwork available through Visual go to www.visualforbusiness.com. Further information about Arts & Business is available at www.artsandbusiness.org.uk. 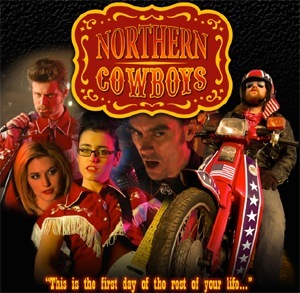 Our film Northern Cowboys has been officially selected by The Nashville Film Festival later this month. The festival is accredited by the Academy (ie the Oscars) and success there would mean we would be put forward for an Oscar next year in the Best Short Fictional Film category. “If you aim at Heaven then you get earth thrown in. and innocence, tension and tragedy. Posted by liverpoolchamber in Culture. Enjoy a gallery crawl, celebrate art and receive special offers! 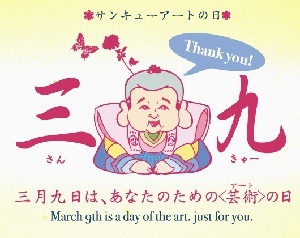 "39 Art Day" (Thank You Art Day) is 9 March. It is a special day to appreciate, promote, and otherwise positively engage ourselves in contemporary art worldwide. This year as 9 March falls on Monday when some places will be closed we thought it would be good to make it a week-long programme of events and celebration!